‘Shahi snaan’ is the central highlight of the Kumbh Mela and the most important part of the celebration. 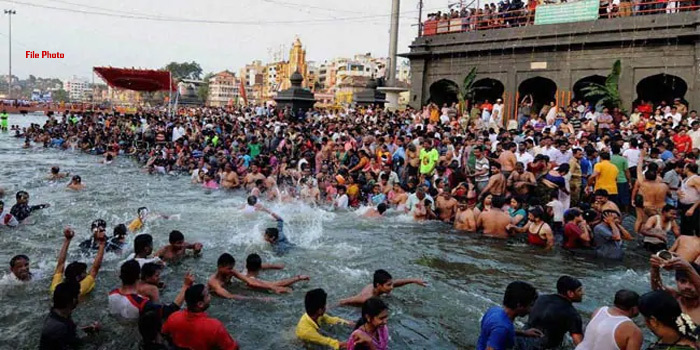 In this Shahi Snaan over two crore devotees are expected to take a holy dip on Basant Panchami on Sunday. This is third ‘shahi snaan’ of the Kumbh. Before Basant Panchami, the two shahi snaans that have taken place so far have been on Makar Sankranti on January 15 and Mauni Amawasya on February 4. Kumbh Mela is the largest human congregation in the world, with lakhs of pilgrims participating in the festival with the belief that taking a dip at the holy Sangam, a confluence of Ganges, Yamuna and Saraswati rivers would pave the way for salvation. The 55-day long Kumbh Mela will end on March 4. Additional security arrangements have been made with UP Police and central paramilitary forces deployed at different crossings and parts of the city. “The whole region has been demarcated into nine zones and 20 sectors with the deployment of over 20,000 police personnel, 6,000 homeguards, 40 police stations, 58 outposts, 40 fire stations, 80 companies of central force and 20 companies of PAC,” UP’s Director General of Police (DGP) OP Singh said.